Why See World of Dance? Judged by none other than pop superstar Jennifer Lopez, R&B heartthrob Ne-Yo and professional dancer extraordinaire Derek Hough, and hosted by celebrity actress/dancer Jenna Dewan, NBC's hit dance competition series World Of Dance has recently taken a prime time slot on American TV thanks to soaring ratings. Now in its second season, the show hits the road with its finalists and winners for a triumphant live touring spectacular this fall! Featuring exceptionally talented competitors from the season, as well as budding local and national talent, the production fuses dazzling choreography, cutting edge lighting displays and jaw-dropping skill to showcase the new school of modern, genre-bending dance in America. 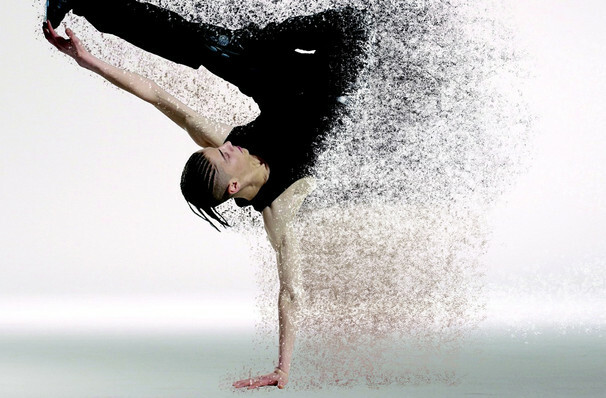 From urban to hip hop to breaking, the dance at the centre of the show transcends language barriers and has created a growing international online community of fans who come together to watch tour de force performances fuelled by the fire of the human spirit. Wether in video format or live, it truly is a moving kinetic experience you won't want to miss. Sound good to you? Share this page on social media and let your friends know about World of Dance at Thrasher-Horne Center for the Arts. Please note: The term Thrasher-Horne Center for the Arts and/or World of Dance as well as all associated graphics, logos, and/or other trademarks, tradenames or copyrights are the property of the Thrasher-Horne Center for the Arts and/or World of Dance and are used herein for factual descriptive purposes only. We are in no way associated with or authorized by the Thrasher-Horne Center for the Arts and/or World of Dance and neither that entity nor any of its affiliates have licensed or endorsed us to sell tickets, goods and or services in conjunction with their events.